The celebrations were complete. Hands were being shaken. Mumbai Indians were just beginning to savour a fantastic win in a high-quality game. And Virat Kohli’s men were just about reconciling themselves to a tough loss. But then, a replay popped up on the big screen. It emerged Lasith Malinga overstepped on the last ball. But it was too late. The game was done. Outrage followed – in commentary, during the presentation, on Twitter, in print…basically everywhere. 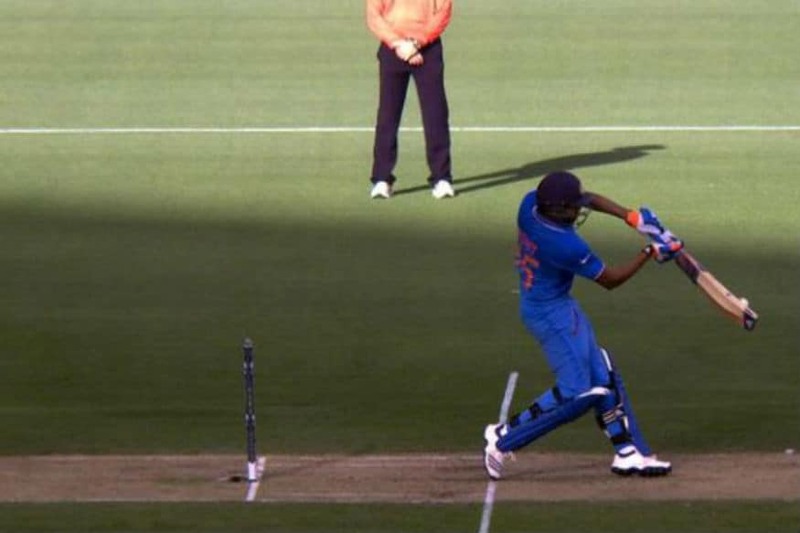 The nub of the argument was – how could the umpire be so blind as to not see a no ball off the last ball of the match? And why is technology not being used to ensure that this never happens? First, let’s deal with the umpiring ‘faux pas’. 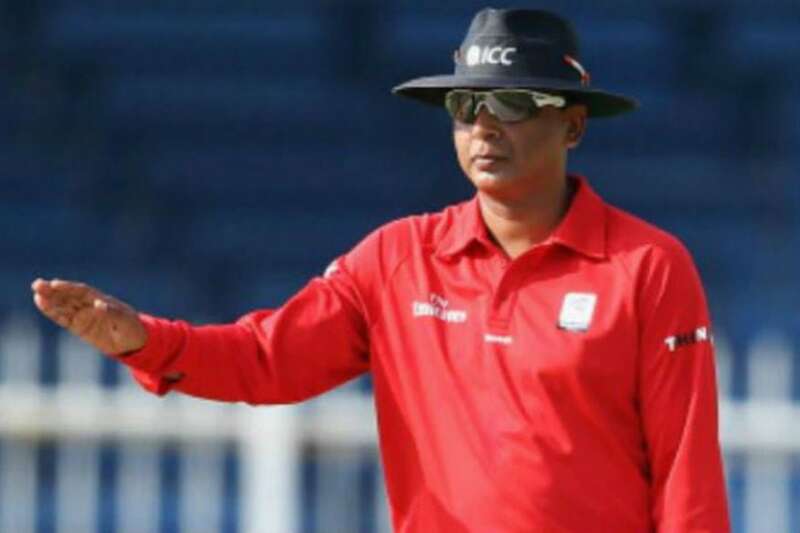 The standing umpire was S Ravi, India’s best umpire by miles, and only the second Indian – after S Venkatraghavan – to have made it to the ICC’s elite panel. So, it would have been hard to find a more qualified umpire in this IPL to be adjudicating at that crucial point. Did he miss that no ball? Yes, he did. There can be no argument about that. Are no balls generally missed during normal play? Yes, of course they are. This is nothing new. Malinga had overstepped by an inch, perhaps less. Umpires routinely do not call close no balls because if the batsman is dismissed and they have given it a no-ball, the decision can’t be overturned even if it is subsequently proved that the delivery was legal. That is the rule of thumb process followed by modern umpires. Perhaps he should have gone up to check whether it was a no-ball as a matter of course, if he thought that was a close call? But he’s not allowed to do that for anything other than dismissals. You could argue that the umpire should never make a mistake, and I have seen a lot of ex-cricketers say that at this level, you can’t be making such a mistake. But then, no batsman should get out to a bad shot and no bowler should ever pitch too short or too full. And then, why would we ever need DRS, if the umpires were to never make a mistake? Here’s the bottom line - errors will happen and we will have to live with them. Each time there is a controversial incident in cricket, we have the experts railing against it and suggesting that surely “something should be done’. If there is a controversial low catch, surely technology must be able to solve it? But if there is an apparent error in ball-tracking or a nick does not appear on Hotspot, or Ultra Edge or Real Time Snicko, questions are raised about why we should rely on technology. Why not just go with the umpire instead? There are issues raised with soft signals now, because the TV umpire stays with the on-field decision in case he can’t get a clear view of the incident. There were issues raised earlier, when there was no soft signal and the benefit of doubt always went to the batsman, even though it was apparent that he was out, and that the on-field umpires were just double checking. If the on-field umpires did not double check, and replays later showed up their decision, they would get flak for that too. So basically, experts tend to outrage against every umpiring decision, post the fact, after several replays. The poor umpire is always on a hiding to nothing. Getting back to the no-ball, it should be easy to solve this, right? “Experts” have come up with a million – ok, maybe not a million, but close enough – suggestions. The whole landing area should, like the zing stumps, light up if there is a no-ball and the decision is taken out of the umpire’s hands. Everyone wins, or at least that is the thought. Others feel that since there are driverless cars in existence, surely technology HAS to exist to be able to instantly call a no-ball. There are many others too. A no-ball in cricket is a complex call. It isn’t like a tennis foot fault, where, if you touch the line with your foot while in the process of serving, the line judge calls a fault. Here, there are many variables. An umpire, unlike a line judge, does not stand on the line. He stands well back and is sometimes obscured by the bowlers back leg and hip, at times, the line is erased after the bowlers have landed on it several times. And even if it is not, the bowler is allowed to have his heel raised and the umpire has to draw an imaginary line from his raised heel to the line and guess whether it would be behind the line or not. Technology would also have to take into account a raised foot. How would it distinguish between the non-striker’s bat, his feet, and the bowler’s landing, whether raised or grounded? What of back foot no balls, which are even more complex? There, a bowler’s foot can’t touch or cut the return crease at the first point of landing, but he is allowed to touch or cut it after he has first touched down. How would you judge that? Shahid Afridi is a prime example of keeping the umpires alert on back foot calls. To put not too fine a point on it, it is all very well to outrage and suggest that technology SHOULD exist, but it serves no point other than to whip everyone on Twitter into a frenzy. At this point, the technology does not exist for an instant no-ball call. In fact, the technology does not even exist to ensure that a white ball lasts 50 overs. It probably should, but then so should a surefire cure for cancer, which is probably more important to the world. There are other suggestions as well, that might be slightly more workable. A feed of the line cameras going to an umpire who would keep an eye on no-balls is another suggestion. While that is probably more doable, we have had experts railing about how too much time is already being taken out of the game. If the umpire were to check every ball, he would have to watch slo-mo replays, because it is tough to tell for sure in real time on a two-dimensional screen, unless it is a big no-ball. That would mean constant interruptions and the pace of the game would slow down even more. And, the one reason for limiting DRS appeals to one unsuccessful review per innings in T20s & ODIs and two in a Test innings was to ensure that there were no unnecessary interruptions. But they already spend extra time in the IPL by having two strategic timeouts, did I hear you say? In the recent Pakistan Super League, there were games that lasted close to 4.5 hours. Would you really want to push that even more? What happens on a double-header day when one game starts at 4 pm and another at 8 pm? And, most importantly, this change is being sought for all cricket, not just the IPL. So, while this is a viable option on the face of it, is it really so? Another suggestion, from former Australian batsman Dean Jones, is to have an umpire just to call no-balls. This, to my mind is probably the best option. That umpire would mirror a linesman in tennis and he would have the huge advantage of having nothing else to do, other than just look at the line and the front foot. It would also free up the standing umpire to concentrate on the pitching and impact of the ball. Of course, there is a slight problem here too. These days, the square-leg umpire is asked to stand not on the popping crease line, but a couple of steps behind, to enable the line cameras to clearly see the line as well as to clearly see the impact of the ball on bat or pad to enable ball tracking to adjudicate on LBW appeals, RTS and Ultra Edge to adjudicate on snicks and Hot spot to be able to clearly map the impact. So, the umpire would probably be asked to move from his ideal position. And if he were to make a mistake, we know what would follow… outrage. So, would it then be easier to go back to the back foot no-ball rule? If you were to keep just two umpires on-field, the back foot would be closer to the standing umpire and an infringement would be easier to spot. If you were to have a specific no-ball umpire, he would be able to stand on the back foot line and not obscure the line of sight of the run-out cameras and the Hotspot cameras. Things might just become a lot easier. The reason cricket moved away from the back foot rule to the front foot rule was that bowlers used to drag their back foot and overstep the front foot by a long way, thus shortening the distance between themselves and the batsman. That could be easily solved my making the drag illegal. In any case, no modern bowler seems to drag his back foot.